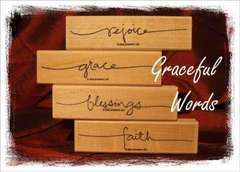 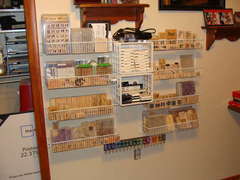 Stamps are available in two formats: mounted to a wooden block, or unmounted in sheets. 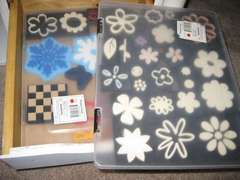 These sheets can be cut up and either mounted to re-positionable foam, or else painted on the back with a re-positionable adhesive, eg: Stamporium Ultimate Adhesive, then used with an acrylic block. 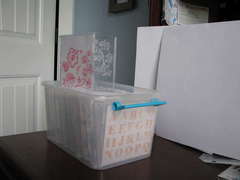 Stamps are available in two types: traditional rubber (pink, red or grey) or polymer (which is translucent). 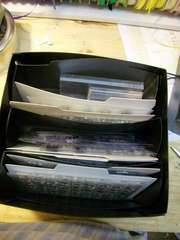 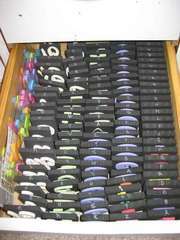 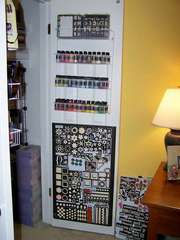 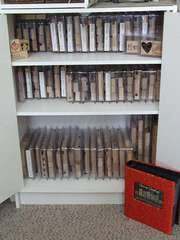 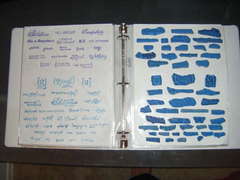 Unmounted Stamps Storage (EZ Cling) By Yadee87 She has explained nicely how to do this with Avery page protectors.